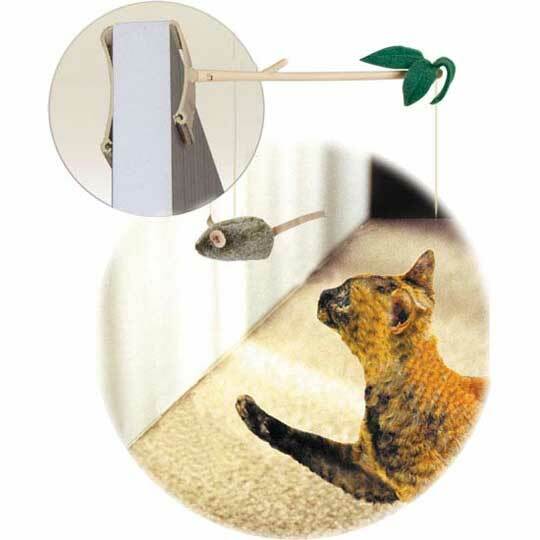 The tethered mouse is suspended from the top of a door and will dance and bounce with each swat of your cat's paw. The electronic RealMouse sound module 'squeak' will keep them entertained for hours! Hanger tension adjusts to fit any standard door. 8" x 4.5" x 1.8"